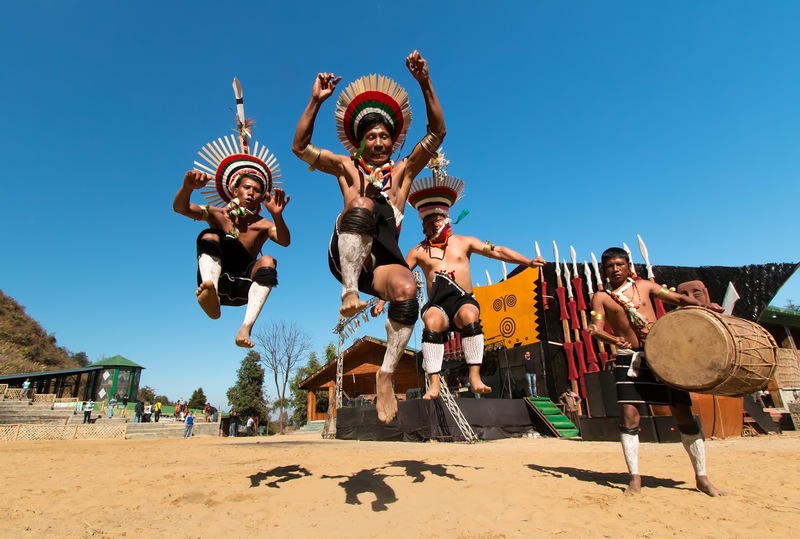 With a view to encourage inter-tribal cultural interaction and to bring together the festivals of the various tribes under one umbrella, the Government of Nagaland has introduced this one-of-a-kind festival that goes by the name the Hornbill festival, where one can see a mélange of Naga cultural displays at one place. 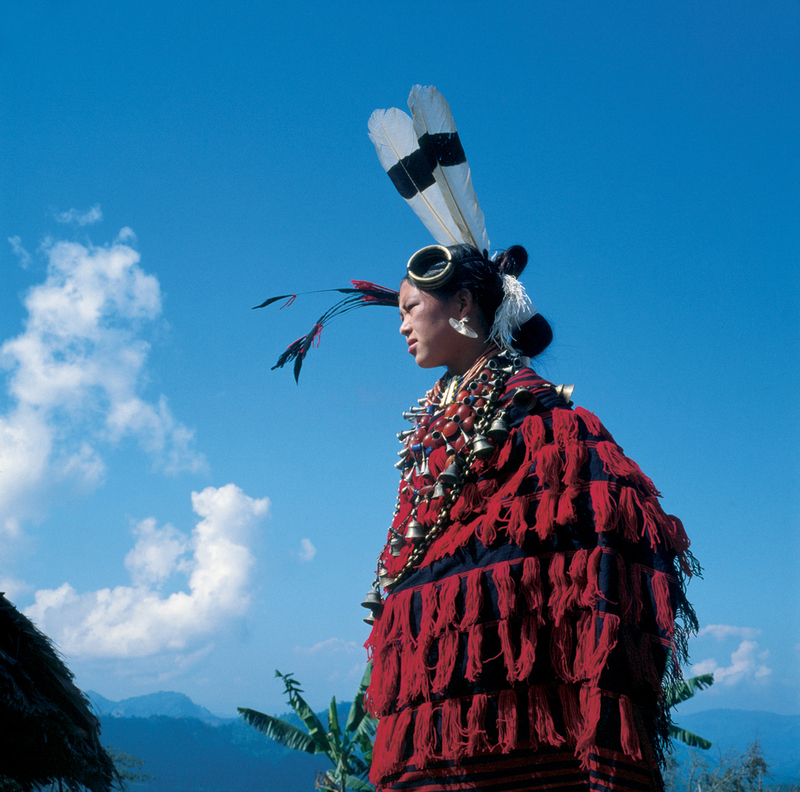 Organized by the State Directorate of Tourism every year between December 1 and 5 in the capital city of Kohima, the festival is intended to revive, protect and preserve the richness and uniqueness of the Naga heritage and attract tourists. The festival, in a way, is also a tribute to the hornbill, a local bird most admired by the Naga people for its qualities of alertness and grandeur. There are as many as 16 major tribes and many sub-tribes in the State that have their own ways of maintaining their distinctive cultural traditions and customs. 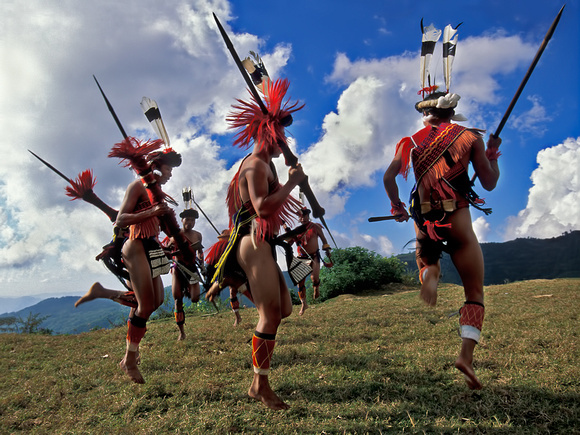 The tribes try to popularize their cultures through various forms of performing arts, which are an integral part of all Naga festivals, as much as it is during the Hornbill Festival. Each of the tribal communities that dwell in the hills can be distinguished by the colorful and intricately designed costumes, jewellery and beads that its members wear. 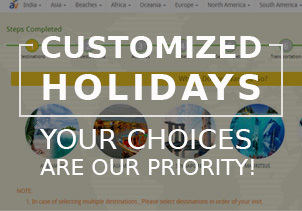 The traditional ceremonial attire of each tribe is different from that of the other. 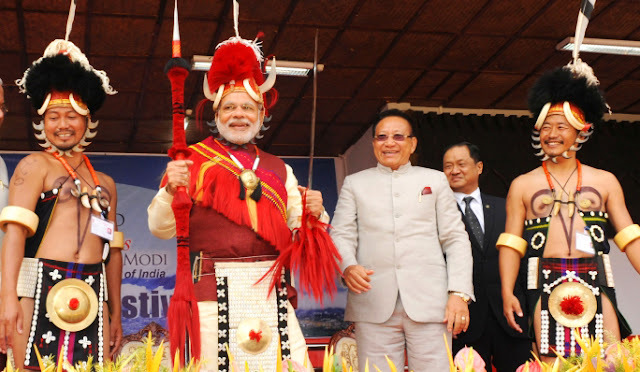 There are the multi-coloured spears and daos decorated with dyed goat's hair, the headgear made of finely woven bamboo interlaced with orchid stems and adorned with boar's teeth and hornbill's feathers, and ivory armlets. The Nagas are admired for their rich repertory of folk dances and songs which is quite evident from the way the festival is celebrated. 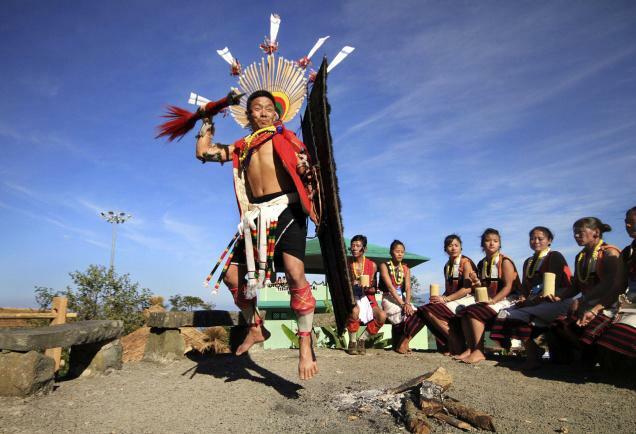 In spite of the tremendous advance of modernity into their lives, the Naga people have a penchant for vibrant dances and songs praising the brave deeds of ancient warriors and folk heroes, love songs that immortalize tragic love stories, gospel songs and folk tunes. 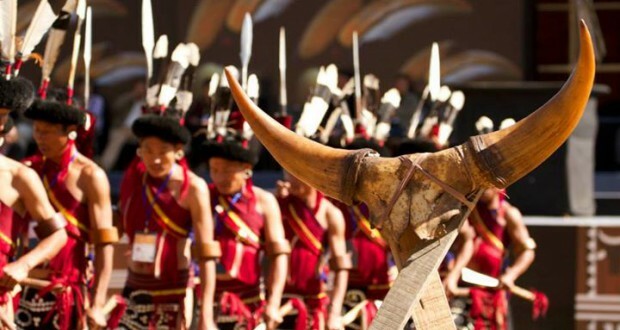 The Hornbill festival mainly revolves around agriculture, it being the mainstay of the economy. Over 85 per cent of the population of Nagaland is directly dependent on agriculture and lives in the 1,000-odd villages situated on hilltops or slopes overlooking verdant valleys. In this blissful setting, Nagas enjoy nature with a rare gusto that visitors to the State look at with awe and admiration. In most of these places agriculture consists of a single crop. 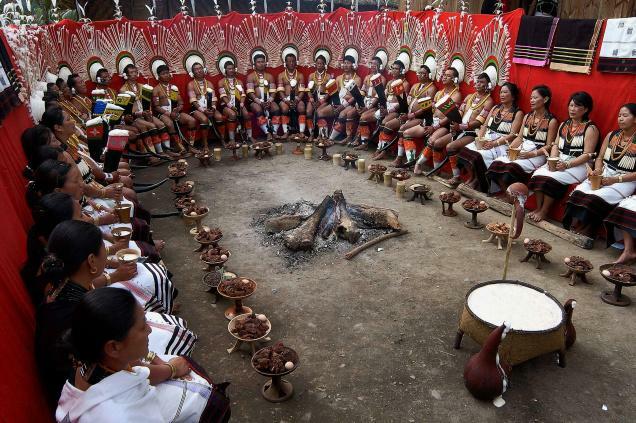 Although some religious and spiritual sentiments are inter-woven into secular rites and rituals, the predominant theme of the festivals is the offering of prayers to a supreme being, which has different names in different Naga dialects. At these festivals, the gods are propitiated with sacrifices by the head of the village, for a bountiful harvest, either before sowing or on the eve of the harvest. In fact, agricultural work and religion are so interwoven in Naga society that it is difficult to describe the festivals independent of the processes of agriculture.